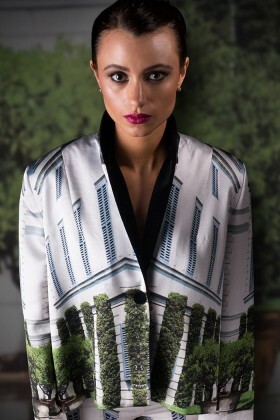 This beautifully tailored jacket in printed cotton satin, designed with a peter pan collar for a ladylike finish. Team with its matching skirt to complete this smart yet elegant look. You're using a very old browser. Unfortunately this website does not support browsers older than ie8 at this time. Please consider udating your browser, or consider a more standards compliant browser like Google Chrome or Firefox. WHY SHOULD I CARE ABOUT UPGRADING MY BROWSER?